Lake Amistad has many types of fish. The predominant fish in the Amistad Reservoir are: Largemouth Bass, Smallmouth Bass, Catfish, Black Bass, White Bass, and Striped Bass. Other fish found in the lake are carp, sunfish, blue gills, and crappie. 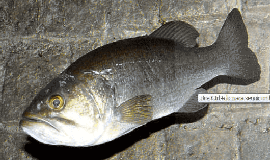 Largemouth bass are the most popular and most abundant sport fish in the reservoir. Channel and blue catfish are present in good numbers with an occasional flathead showing up. Striped bass are popular and sought by anglers due to their strong fighting characteristics and their potential for trophy sizes. 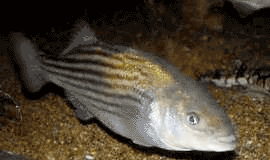 Frequent stockings by the Texas Parks and Wildlife Department maintain the striper population because they have not successfully reproduced in this reservoir. 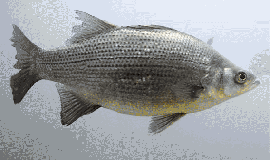 White bass provide popular seasonal fishing during spring spawning runs. Smallmouth bass are present; anglers report better success with this species in the Devils River arm of the lake. Amistad Reservoir is dominated by rocky structure. The lake abounds in rock ledges, steep rocky drop offs and rocky points and shorelines. There are some areas with timber. Lake Amistad has some vegetation, but not much considering it's size. The primary type of vegetation here is hydrilla. It can grow in depths of forty feet of water. The amount of cover is dependant on the lake levels. Largemouth bass anglers are most successful during the fall, winter, and spring months. Topwater baits, buzzbaits and spinner baits work well in the early morning and late evening. Crankbaits can be effective along rocky shorelines, points and drop offs. At midday many anglers turn to plastics such as Texas and Carolina rigged worms or grubs to effectively fish the deeper waters near vegetation or rocky structure. 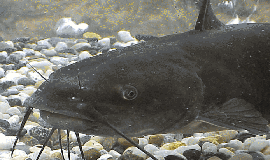 Catfish anglers can find channel and blue catfish throughout the lake. Stinkbait and cutbait work well for both species. Many anglers try to improve catch rates by "baiting" catfish holes with sour grain to attract the catfish. The best action for white bass is during the spring spawning runs. These occur from late January through March as whites migrate up rivers to spawn. Effective baits include rattle traps, jigging spoons and live bait such as minnows.